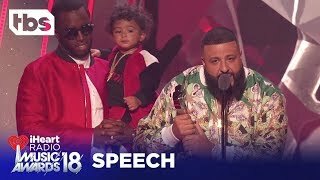 Cardi B wins Best New Artist at the 2018 iHeartRadio Music Awards! 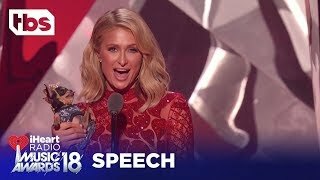 The 2018 iHeartRadio Music Awards are back and bigger than ever! This year’s show is hosted by DJ Khaled and Drop The Mic’s Hailey Baldwin with performances Cardi B, G-Eazy, Camila Cabello, Maroon 5, Eminem, Charlie Puth, N.E.R.D, and special appearances by Bon Jovi and Chance the Rapper. Tune in Sunday 3/11 at 5pm EST on TBS, TNT and TruTV.